Downtown Ann Arbor is expected to get some more artwork, this time on the outside of the grey metal traffic signal boxes that are often covered in graffiti. 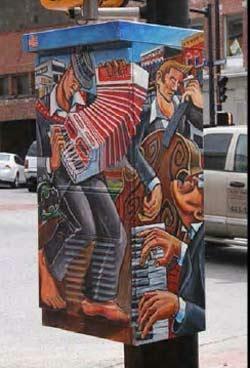 Example of a vinyl-wrapped traffic box in Boise with artwork by David Spear. Have you ever noticed one of the 42 traffic signal boxes downtown? Although they are an important piece of infrastructure located at nearly every downtown intersection, they are easily overlooked. They are large and boring grey, that is, unless they are covered with graffiti. Through a partnership with the Ann Arbor Public Art Commission (AAPAC) and the Arts Alliance, we’re looking to change that. Yesterday our Board voted to approve funding for “PowerArt!,” an exciting project that will wrap downtown signal boxes in art. We have financially supported anti-graffiti initiatives for several years, including providing funds to create murals on downtown walls as a way of dissuading tagging even as it enlivens the public right of way. This more proactive approach, which has been successful in other cities like Boise, Idaho, takes that work one step further. The project will be piloted on 14 downtown signal boxes. 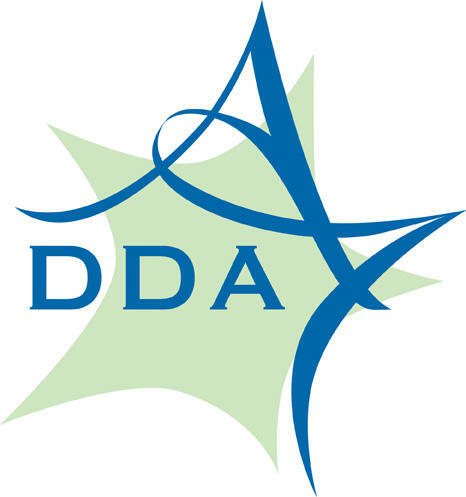 We will work with AAPAC and the Arts Alliance to oversee the artist selection process and to locate boxes in high-pedestrian traffic areas within the four downtown commercial districts. If this project is deemed to be successful, it is anticipated that it will be repeated two additional times until all 42 downtown signal boxes are wrapped in art. Ann Arbor City Council has unanimously approved a task force report with recommendations on what to do with the city's North Main Huron River Corridor. WEMU's Andrew Cluley has more. The manner in which monthly permits are granted for Ann Arbor Parking structures may soon change. The As WEMU's Andrew Cluley reports, the Ann Arbor Downtown Development Authority is using the Forest Avenue Parking structure for a new, pilot program. In the future, monthly parking permits in Ann Arbor may be granted based on the size of the building in town where a motorist lives or works.